Nests colonially in dense trees and bushes at shallow marshy lakes , rivers and coastal lagoons. These birds were migratory but their numbers have increased significantly and is now fully resident throughout the year on the South Coast. Portsmouth, Langstone and Chichester harbours hosting large numbers of these birds. 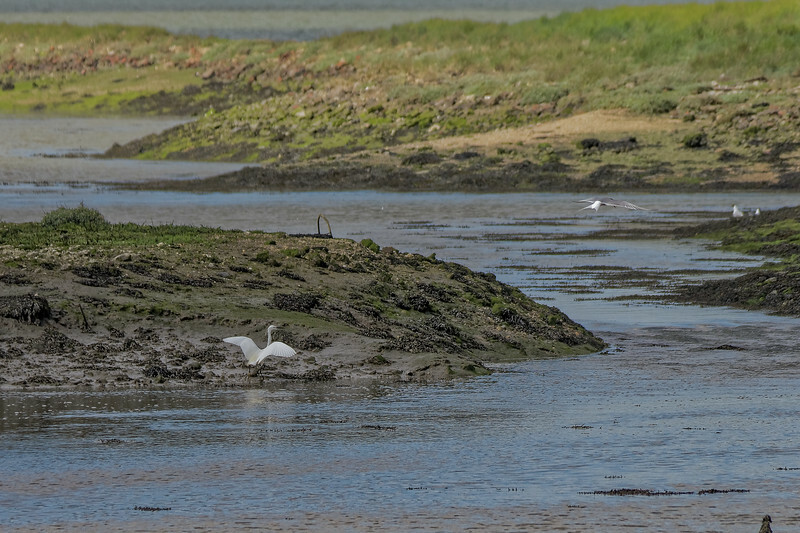 3 June 2015. little Egret landing on one of the bunds in the Oysterbed area. A Common Tern is also visible to the centre right, scanning for prey in the incoming tide.